With a velvety, creamy texture these feel like an indulgent treat, but they actually contain a massive 95% less sugar and 80% less fat sugar than many supermarket alternatives — making them a healthy swap to fit into your training regime. 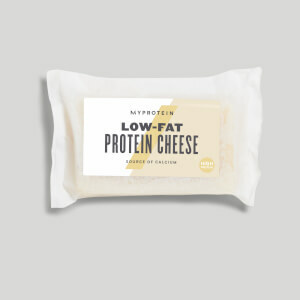 They deliver 15g of protein per serving, with just 1.2g of sugar and 2.9g of fat, so they’re the ideal sweet snack to keep your diet enjoyable, while still helping you hit protein requirements. When to enjoy Protein Pudding? Enjoy whenever you feel cravings calling, they come in individual pots so you can easily pack them in your lunchbox. What to enjoy Protein Pudding with? Need another snacking alternative? Try our Choc Protein Balls for delicious, crispy treats that deliver 15g of protein per bag. Vanilla Flavour: Concentrated Skimmed Milk, Filtered Water, Milk Proteins, Cream (Milk), Polydextrose, Modified Corn Starch, Maltodextrins, Emulsifier (Mono and Diglycerides of fatty acids), Flavours, Colour (Beta-Carotene), Thickeners (Carrageenan, Guar Gum, Xanthan Gum), Acidity Regulator (Potassium Hydroxide), Sweeteners (Potassium Acesulfame, Sucralose). Chocolate Flavour: Concentrated Skimmed Milk, Filtered Water, Milk Proteins, Cream (Milk), Polydextrose, Cocoa Powder, Chocolate Powder, Modified Corn Starch, Maltodextrins, Emulsifiers (Mono and Diglycerides of fatty acids, Flavours, Thickeners (Carrageenan, Guar Gum, Locust Bean Gum), Acidity Regulator (Potassium Hydroxide), Sweeteners (Potassium Acesulfame, Sucralose). Servings Per Container - Each pack contains 8 cups. The nutritional information is based on the Vanilla Flavour version, when choosing an alternative flavour the nutritional values may vary. I bought these after reading everyone else's glowing reviews thinking "they can't be THAT good?!" And I'll be honest, they're not. They're sooooo much better!!! I would buy these just for the taste. These aren't just gods for a protein product, they're good. Period. They taste like a custard but feel like a Creme brûlée. The texture feels so decadent, the taste so creamy, that the macros MUST be lying?! They have helped me curb my pudding tooth, nothing hurts more than watching my girls attack their dessert!! Now I can keep my protein up (15g?!) my sugar down (only 1g!) and my resolve strong. Amazing product, totally hooked. Everything. Nothing. Just eat it!! Where has the vanilla gone? It was great! Please please please bring back the vanilla flavour - I don't like the chocolate but the vanilla is great and its such a great snack for those with a sweet tooth. 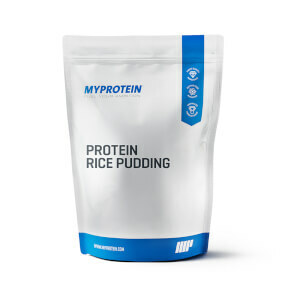 Protein pudding is perfect for those of us who need that sweetness in our diet but keeping our Macro's under control. Its high in protein and low in fat/carbs so perfect for an anytime of day treat. I like to play around with this product as its a great base for making other things. For example try adding some pure Cacao powder to create a delicious chocolate dessert. Or place in a food processor with some frozen black forest fruits, creating an instant ice cream. Both of these can then be used as filings for inside your My Protein pancakes!! Yum! 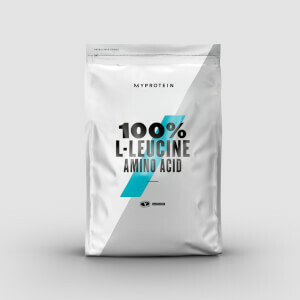 Why did MyProtein change the recipe?? The chocolate pudding was so good and now it is inedible! A weird watery taste with a strange texture. So gutted it’s changed recipe! Basically these used to be the most amazing desert you could get, however, since they changed the recipe, they're just god awful. It's a shame that My Protein changed these, but kept the same product page so that folks who have never had them will be fooled into thinking they're the same one due to the great reviews. PLEASE BRING THE OLD ONES BACK. The vanilla is absolutely awesome! If you're looking for a high protein treat to satisfy that sweet craving then this is it. I could eat 4 or 5 of these in a row....and if they were cheaper I definitely would! I love vanilla..mixed with scoop whey and add some granola.